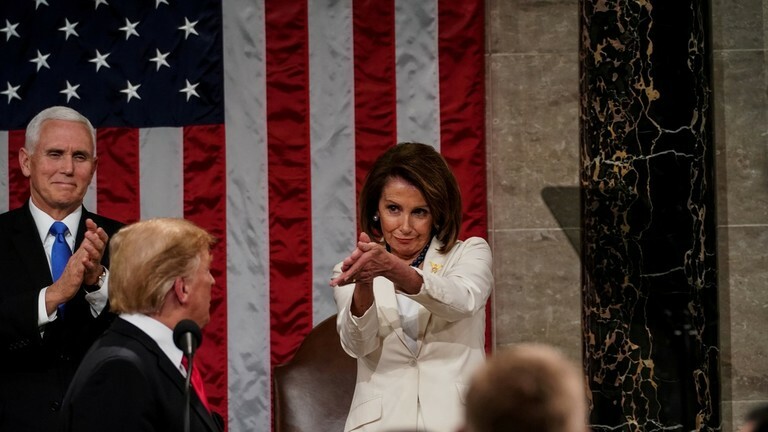 UNPARALLELED: Pelosi Puts on Mortifying SOTU Performance for Whole World to See—But why? This type of recklessly juvenile conduct has NEVER happened before, especially in full view for the whole world to see. In a dismal effort to cover up their communist witches coven, the ultra-feminist members of the U.S. Congress all wore white during the SOTU address last night. Somehow this strategy was thought to soften their now common and utterly repulsive feminazi tactics. It was also hoped that their recent promotion of infanticide would somehow be legitimized. Really, why did the gaggle of abortion-loving Democrat feminazis dress in white for the SOTU? Then there is the Democrat’s KKK connection. The state of Virginia is now showcasing this highly inconvenient historical fact — that the DEMs were the founding party of the Ku Klux Klan — with so much political drama in Richmond it has knocked all the soap operas out of the top rating slots. See: Is this why the female Democrats wore white at the SOTU? It’s true that the top 3 officers in the Virginia state government are now under political assault for either black face indiscretions or surfacing sexual assaults. However, it’s the pushing of the infanticide agenda in the Democrat-dominated Statehouse that really got this whole process started. Talk about instant karma! Given such a collective deceit perpetrated by virtually all the women in Congress in their white, why would the same gaggle elect a woman Speaker of the House who just resoundingly humiliated herself and her party before the entire world during the SOTU? UNPRECEDENTED: Like a catty juvenile, Pelosi shows no embarrassment as she continually disrupts the SOTU. In other words, these Democrats took such great pains to present a fake appearance to the American people, but were then utterly disgraced by their ‘fearless leader’. So fearless, in fact, that she has no concern about profoundly offending the American people, the Founding Fathers and all successive generations of Americans with her repugnant and reprehensible behavior. Truly, there is something very wrong with the women in the Democratic Party. 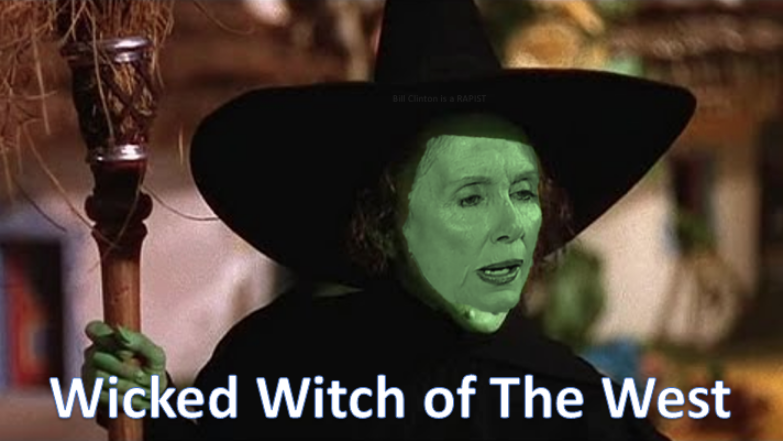 It’s almost as though you have to be certified by the “Wicked Witch of the West” — Nancy Pelosi — before you can join their sordid, sleazy and squalid sorority (i.e. witches coven). What is particularly noteworthy about these incessant and irreverent displays of stunning disrespect is that they really do seem to act with impunity. At least they have been mentored to believe that they can act like little bratty schoolgirls and get away with it anytime, anywhere, anyhow they want to. Let’s do a personnel audit for those who are unaware of just how broad and deep this communist witches coven runs. Of course, Hillary Clinton is at the top of this list. However, that does not necessarily make her the Queen Bee. It’s clear that Pelosi is the rainmaker and therefore controls the purse strings for all the other female Democrat politicians, both in and out of Congress. 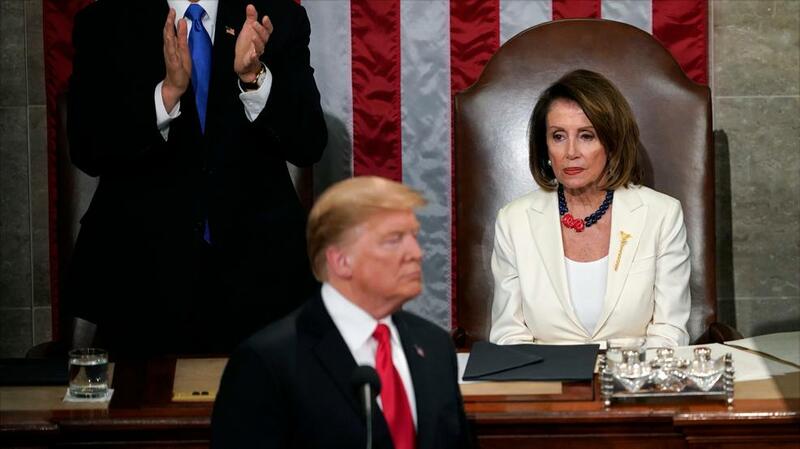 So, where Clinton has been the Democrat figurehead and was supposed to be the first woman to sit in the Oval Office, Pelosi is the queen-maker; the most conspicuous, that is. In point of fact, Nancy Pelosi has risen higher than any other woman in America in the U.S. Federal Government where it concerns elective office. And, she has mysteriously and firmly held onto that power for a relatively long period of political time. This accomplishment alone reveals that Pelosi is much more than just a Deep State asset and CIA operative. She’s also a mafia political hitman and agent of the Black Nobility. Her real job is to corral all the other communist witches and keep them on the reservation of Cultural Marxism. Only highly trained and brainwashed feminists can advance the extremely destructive cultural marxist agenda without flinching. That’s why these women were chosen as the whole world saw 28-year-old bartender and socialist — Alexandria Ocasio-Cortez — transparently installed in the Brooklyn district. Now here’s the current list of uber-feminists who are, or who have been, members of the U.S. Congress or Supreme Court. Quite significantly, when these folks are called “witches” it’s not being used as just a pejorative label, it really means that they are all dark occult-practicing witches. How’s that for a list of kooky crazymakers?! And all of these feminazis occupy critical positions of power and influence that will dictate the future of the American Republic. Quite scary indeed! There is a conspiracy afoot that has one primary goal—the expeditious removal of President Donald Trump. This plot also intends to overthrow the entire Trump administration and replace it with a government that will take orders from Queen Nancy. At one time it was Hillary who would be shoehorned into the White House POTUS but when that scheme fell apart, Plan B was to install Pelosi. The Most Dangerous Plot to Bring Down America from Within—Why is no one talking about this? The preceding exposé is perhaps the single most important ever posted at SOTN. It represents the primary means by which the USA will be surreptitiously conquered from within, and yet very few in the Alt Media are acknowledging it. Hence, it’s crucial, particularly at this late date, to prolifically disseminate the link across all social media. This is the very essence of PELOSIgate. For those who are still looking for it in this post, this communist conspiracy is also the “The Radioactive Scandal That Will Rock America”. Does it really get any more radioactive than this?! The bottom line here is that there really is something extremely off with today’s Democrat Party. Not only have they completely lost their discrimination to determine between right and wrong, moral and immoral … they prefer gross misconduct over traditional propriety and care not what anyone thinks about them. It is this totally smug and careless attitude that reflects a higher power at work. In order to strike at the root of this pernicious movement of Cultural Marxism that higher power MUST be named and eradicated. For it is the same power behind so many damaging scandals and subversive conspiracies that have plagued America. The worst of these is the ever-evolving CROWNgate scandal that is insidiously collapsing the Republic from within. At the end of the day, the highly incompetent and negligent approach to governance by Democrats and RINOs should be of great concern to the body politic. Otherwise, how can these United States successfully resolve so many serious and intractable problems with these bad actors in Congress? Remember, these traitors were put there with purposeful design by enemies both foreign and domestic. The Black Nobility were the extremely rich and powerful merchant and banking families of Northern Italy who established their banking houses during the 13th and 14th centuries. Their wealth was accumulated primarily from two sources: the Nine Crusades that plundered and pillaged the Middle East; and the trade and commerce generated in the wake of the expeditions to the East by Venetian Merchant Marco Polo. That Silk Road eventually created the largest transfers of wealth between the East and the West the planet had ever seen. Subsequently, world-renowned banking houses were set up first in Venice and Genoa, and then in Milan, Florence, Turin and Bologna. These banking families, such as the House of Medici, went on to become the most powerful families in Europe and then the world. So powerful, in fact, that they routinely picked and even became the Popes who would ostensibly rule from the Vatican in Rome. 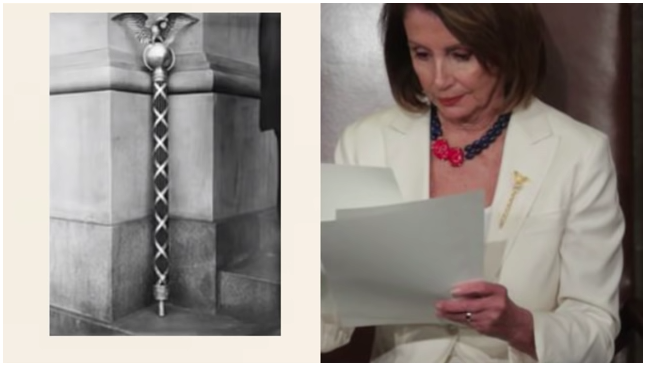 An example of a Black Nobility owned bank is Bank of America (BoA) which was first established in San Francisco (Nancy Pelosi’s district) as the Bank of Italy in 1904. It was founded by Amadeo Pietro Giannini whose father immigrated from Genoa, Italy. BoA bank has assisted the Pelosi clan over decades during Nancy’s rise in political power and the extraordinary expansion of the family investments. Previous articleThe Most Dangerous Plot to Bring Down America from Within—Why is nobody talking about this?